« ‘Third Temple’ photoshopped over Dome of the Rock: Prophetic or dangerous? Or is that a ‘victory’ of what is upsetting the Europeans and pushing them to fulfill biblical prophesies? I would say the latter. In an interview with DER SPIEGEL, former German Foreign Minister Joschka Fischer talks about the danger of war against Iran, the deterioration of trans-Atlantic relations under U.S. President Donald Trump and the serious need for Germany to invest massively in the European Union’s future. 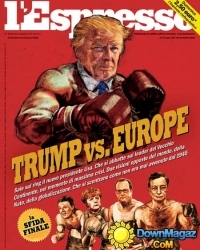 DER SPIEGEL: To what extent has Trump damaged the trans-Atlantic relationship? Fischer: We are experiencing a new era. The trans-Atlantic relationship can no longer be taken for granted. But it would be foolish of us to give it up of our own accord. DER SPIEGEL: German Chancellor Angela Merkel said that we can no longer truly rely on the U.S.
Fischer: It’s even worse than that. The American president is deliberately destroying the American world order. I was used to NATO being attacked by the left wing of the Green Party, but not by the American president! From an economic policy point of view, Trump is challenging Germany’s business model, which has been geared toward exports from the very beginning. Many are saying that we shouldn’t put up with that. I find this reaction understandable, but also kind of cute. What can we do? Given the current balance of power, sometimes all you can do is gnash your teeth..
DER SPIEGEL: You recently wrote a book in German with the dark title “The Descent of the West.” Is the West finished? DER SPIEGEL: Proponents of trans-Atlantic ties have fallen into disrepute in certain circles. Some Germans want closer relations with Russia. Europe WILL GO a separate way from the USA. The idea that Europe will work with Russia is more than palpable. On Friday, Vladimir Putin held talks with German Chancellor Angela Merkel in Sochi, Russia. During the meeting, both politicians reiterated their commitment to the Iran nuclear deal and readiness to further the implementation of the Nord Stream 2 project. They also stressed the need for a political settlement to the Syrian conflict. So, yes, expect that Germany and other parts of Europe will work with Russia. We have not seen a major victory over Europe by the USA. It was precisely because of how Donald Trump approached Europe and how he was viewed by Europe that I told people he could be elected as the President of the USA. 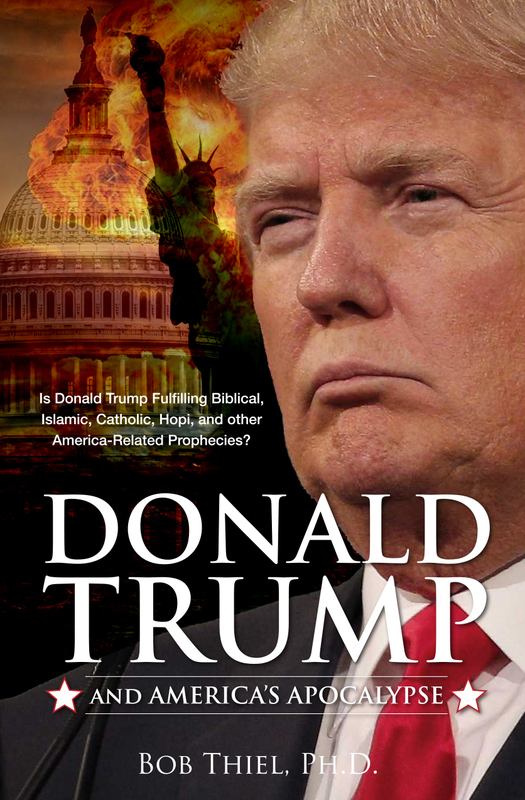 This is mainly because of biblical prophecies pointing to the end of the Anglo-American world order and the rise of the Gentile European order. While most writers are not looking at biblical prophecies, more and more are seeing issues between the USA and Europe. and Donald Trump has made that clear! Europe is taking steps and will take more of them. The USA is pushing Europe to rise up against it. The “he” is the European King of the North Beast power. He will destroy “the strongest fortress,” which in the 21st century, is the USA. The Bible says this will happen at the time of the end (cf. Daniel 11;40). Donald Trump’s actions will be a factor in the rise of the European King of the North Beast power. Will Europe’s Revolt Against Donald Trump Lead to WWIII? The reaction of many leaders in Europe to US President Donald Trump’s trade statements and his withdrawal from the Iranian nuclear arms deal has led some to state this is a “revolt” from Europe. Some say ‘America First.’ should lead to ‘Europe First.’ It has been reported that Europe needs to be “clever” as it develops its military and economy to be less dependent upon the USA. EU Council President Donald Tusk tweeted that with friends like the USA, who needs enemies. EU Commission President Jean-Claude Juncker said , “We have to replace the United States.” Will some of the unintended consequences of Donald Trump’s actions lead to World War Three and the end of the USA? Does the Bible teach this? Does the Bible teach that friendly allies will become enemies? Will an ally that defeats the USA say it happened because of being clever? Are things the same or are we seeing real changes that align with properly understood biblical prophecies? Dr. Thiel addresses these issues and more. Here is a link to our latest video: Will Europe’s Revolt Against Donald Trump Lead to WWIII? Donald Trump is one of the reasons that Europe will turn against the USA. More and more in Europe are seeing this, even if most Americans and the American Spectator do not. The Great Monarch: Biblical and Catholic Prophecies Is the ‘Great Monarch’ of Catholic prophecies endorsed or condemned by the Bible? A sermon of related interest is also available: Great Monarch: Messiah or False Christ? This entry was posted on Wednesday, May 23rd, 2018 at 3:00 pm	and is filed under Prophecy.